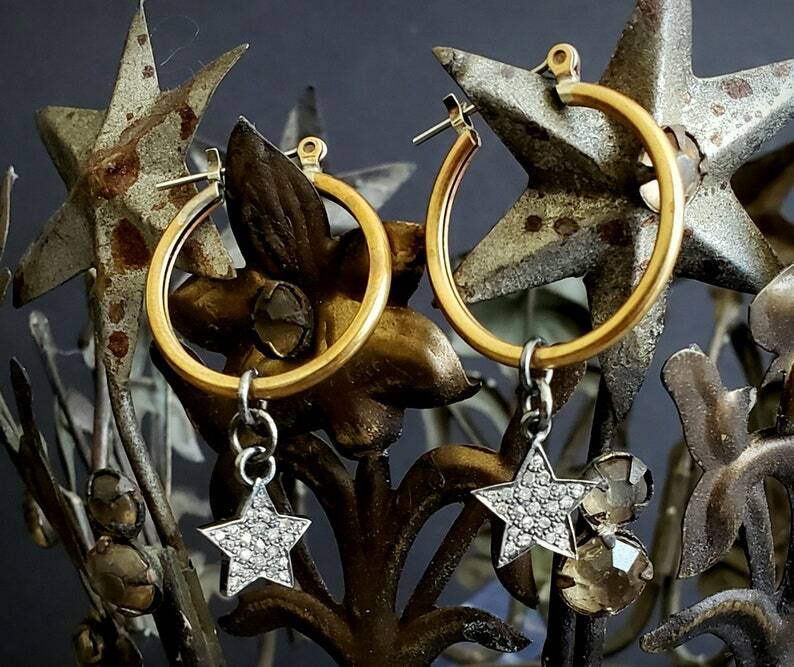 Vintage gold brass hoops are embellished with oxidized PAVE DIAMOND star charms. Diamond stars provide a subtle sparkle - perfect for everyday wear. 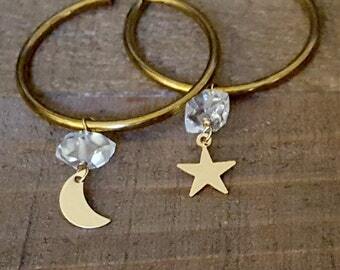 Our brass hoops come in 2 sizes: 31mm (1-1/4") or 25mm (approximately 1"). Note: 25mm shown in photos. 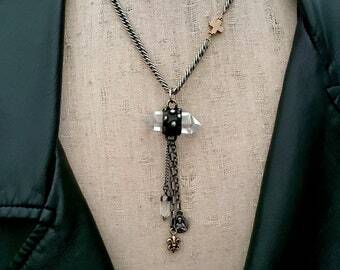 Diamond stars are 1/2". EARRING LENGTH shown: 1-1/2"
Note: These are vintage brass. 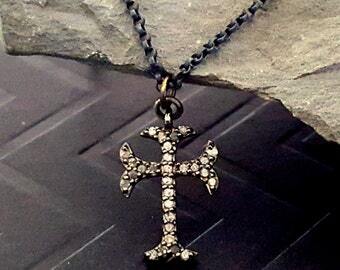 I left them with their natural warm brass color with patina, however, they can be polished to a bright gold. If you prefer bright gold (looks like 14k gold when polished), leave me a note at checkout. Gold brass hoops are shown but these earrings can also be made with sterling silver hoops or black oxidized hoops.